Dr. Niek Turner completed his Ph.D entitled “Un-Silencing the Space of Eisenstein: A Contemporary Visual Analysis of the use of Space in Sergei Eisenstein’s Early Silent Films” in 2018. Since completing his thesis Niek has taken up a role as lecturer in architecture in Queen’s University Belfast in which he able to use his experience in both practice and academia to lead courses at both undergraduate and postgraduate level. 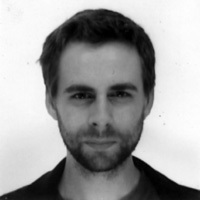 Alongside teaching, Niek is pursuing further research into architecture, cinema and new media. And is particularly interested in understanding how the changing way in which we interact with the world through a range of screens and windows, both real and virtual, affect the way in which we perceive and indeed design our environment. Where for Sergei Eisenstein the modern medium of film offered a new way to represent and thus effectively analyse the rapidly changing spatial environment of the Soviet Union, Niek’s research seeks to examine how new media technologies might be deployed as analytical tools to understand the complex multi-layered spatial environment we now inhabit.